Applications for the 2019 Film Independent Documentary Lab are now open. Do you have a documentary in any stage of production? 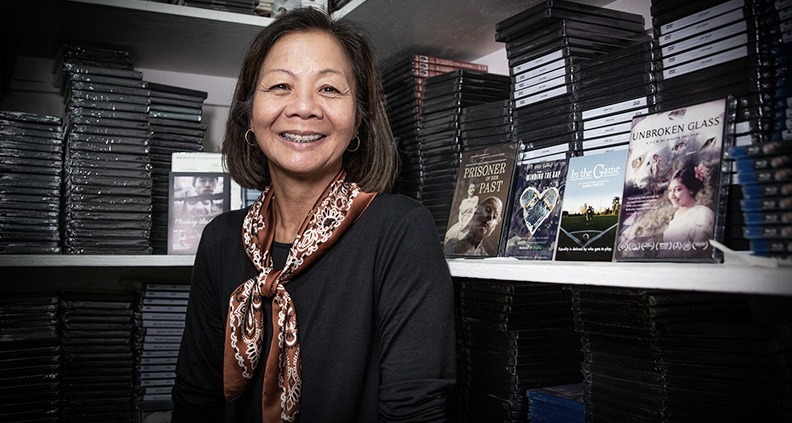 If so, consider the words of Minding the Gap producer Diane Quon, who was kind enough to share her experience in the Lab below. The non-Member deadline to apply is Monday, December 3. During the spring of 2017, Bing Liu (Minding the Gap’s director and co-producer) and I received some exciting news: we’d been selected to the Film Independent Documentary Lab. Since we were both based in Chicago, our first question was: would we be able to make it work living in LA for the whole five-week program? Heck, yes! We rented an AirBnB for Bing, which by day served as his new editing suite. As for me, my pal Marsha generously invited me to stay in her home – special thanks to her husband for not going into complete shock when he realized I was staying for five weeks, not five days. Our first official get-together with the other Doc Lab Fellows was at “Escapedom.” Having never participated in an escape room before, I was a bit skeptical walking into a dark meeting room decorated with handcuffs. But we made it out alive and with our mission accomplished: we’d bonded! We then went off to a welcome dinner together where I ate (and ate…) and talked for hours with the other Doc Lab producers and Film Independent Senior Manager of Artist Development Angela Lee, herself an accomplished producer. Each week, for the next five weeks, we spent two or three nights together at the Film Independent offices with our fellow… well, Fellows. We watched each other’s rough cuts and demo reels. Each week one of our films would be the specific focus of our discussions. I was so impressed with the quality of films and amazed at the care everyone took in giving us their notes for Minding the Gap—people did not hold back! Guest speakers. Every week, different guest speakers joined us in the Film Independent conference room. Topics ranged from legal advice (who would think fair use could be so interesting?) to PR (David Magdael, you’re the best) to distribution (great insights as we neared making some critical distro decisions regarding our own film) to honing story structure (always the million-dollar challenge). Experienced filmmakers. Plenty of experienced filmmakers met with us as well. For Bing and I living in the Midwest, this was a highlight. First up was Pete Nicks, who’d just won the directing award at Sundance for his powerful film, The Force. Honest and transparent, Pete described many of the same challenges we were facing. Mentors. Each film was also assigned mentors. Simon Kilmurry and Greg Finton – two amazing leaders in the industry – were assigned to us. To this day, they give us insightful advice and wholehearted support. They can’t get rid of us! Since the Doc Lab, Bing and I have been so grateful for the success of Minding the Gap. The response from audiences and the industry has blown us away. We premiered at Sundance in 2018, where we won the jury award for Breakthrough Filmmaking. We opened in theaters through Magnolia and premiered on Hulu in August. We’ll be broadcast on POV early next year and are looking forward to launching an impact campaign soon. 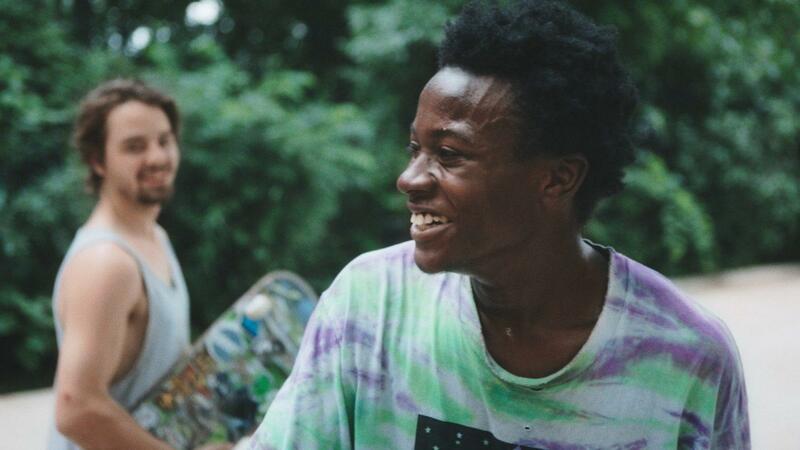 And now, we’ve come full circle with the great news that Minding the Gap has been nominated for two Film Independent Spirit Awards. Bing recently presented at an Obama Foundation summit focused on community, and I continue to be reminded of the importance of finding and belonging to a community. Getting a documentary out into the world can be lonely, thankless and frustrating. Relationships matter. We were so lucky to have found the Kartemquin and ITVS communities early on. How lucky we are to also be a part of the Film Independent community. If you’d like to apply to be a part of the 2019 Film Independent Documentary Lab, don’t worry, there’s still time! The deadline to apply for non-Members is December 3, and Film Independent Members have until December 17. To learn more, click here. Click here to become a Member and keep up with everything Film Independent is doing by following Film Independent on Twitter, Facebook and Instagram, and be sure to subscribe to us on YouTube.